Already called, “Worth the Drive” by NBC LA, S’moresFest! is becoming a highly anticipated addition to Solvang’s Julefest. 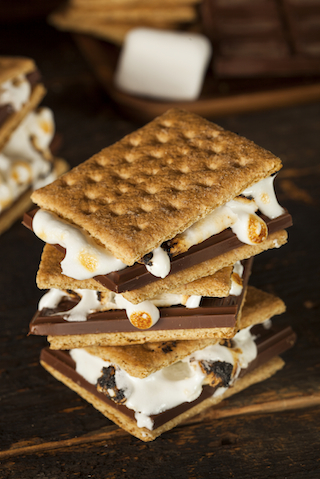 Solvang Park in Downtown Solvang will transfer into a veritable candy land; as attendees will be able to roast their own marshmallows, and create their own creative and customized S’more from a selection of locally produced candy and baked goods. Local favorites, The Molly Ringwald Project will be rocking S’moresFest! with some kicked up holiday tunes. S’moresFest! will be held on Saturday, December 14th from 4:00PM – 7:00PM. Tickets are available now, and are priced at $10 prior to event day, and $15 at the door and can be purchased at http://julefestsolvang.com/. Ticket includes 2 S’mores, hot chocolate, and entertainment.